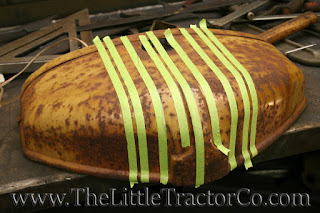 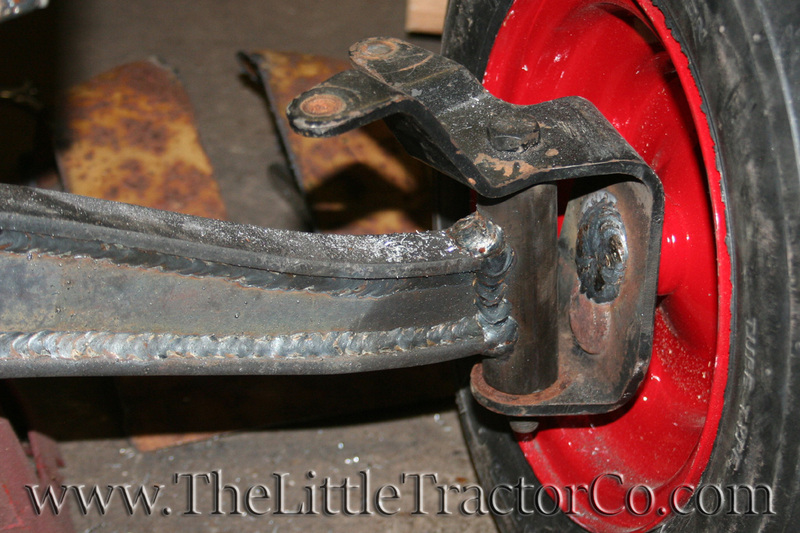 I use good old farm boy ingenuity, not high tech tools... 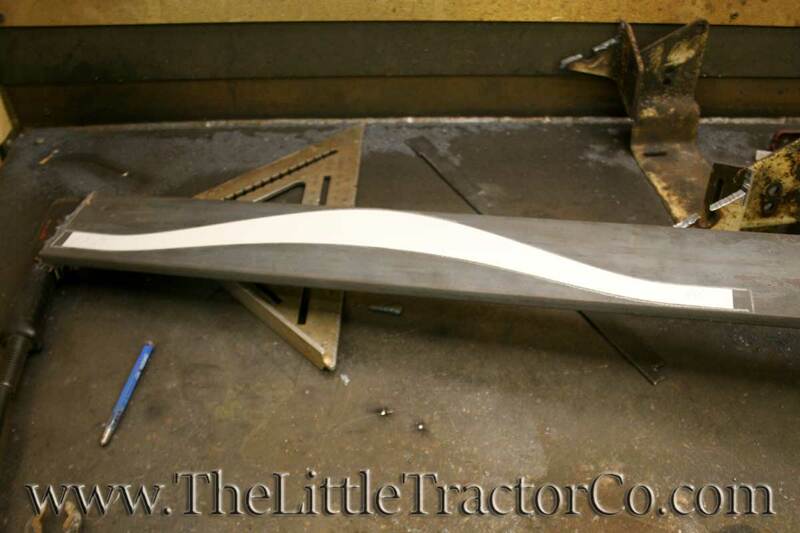 I have a plasma cutter which is worth it's weight in gold, a mig welder, and a 3' break. 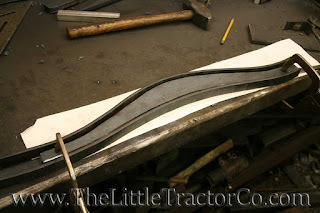 I also made a break for all of the radius bends. When a part gets to precise for me, I have an awesome machinist who does fantastic work. 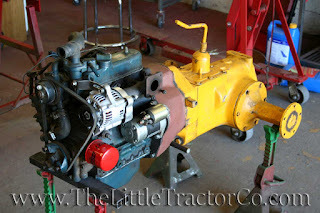 I also have a diesel mechanic who is amazing with any machine you give him. 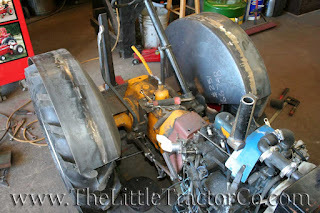 This one is going to be a challenge... 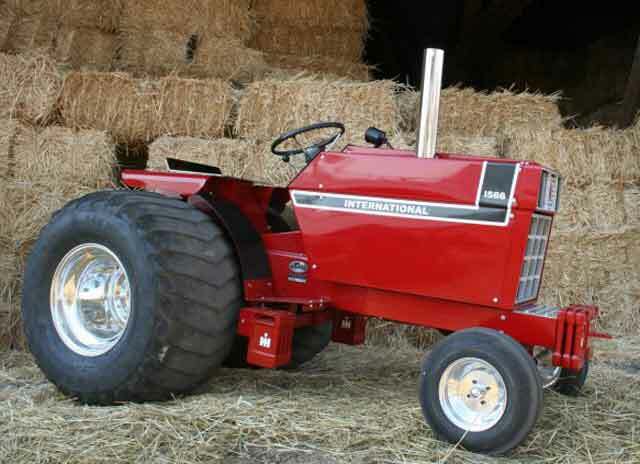 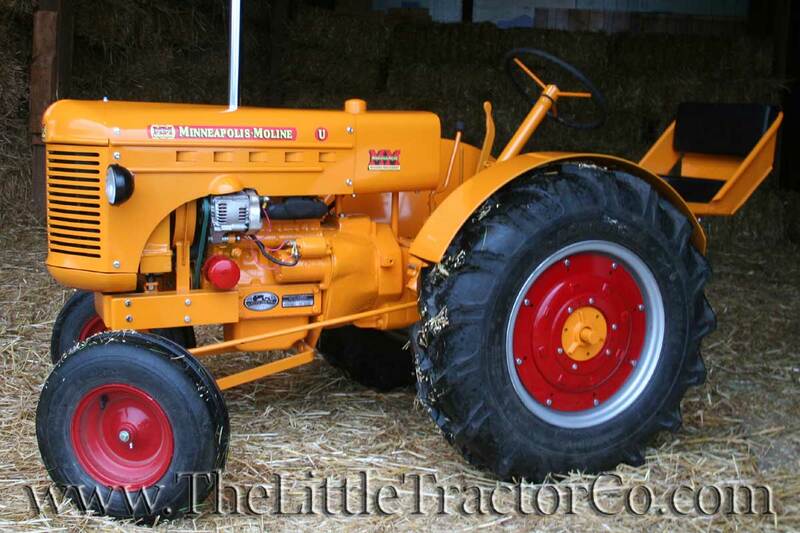 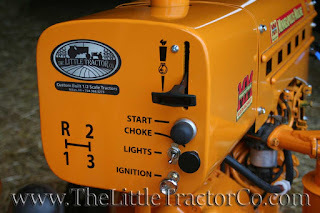 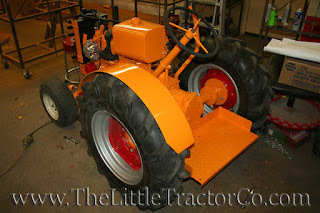 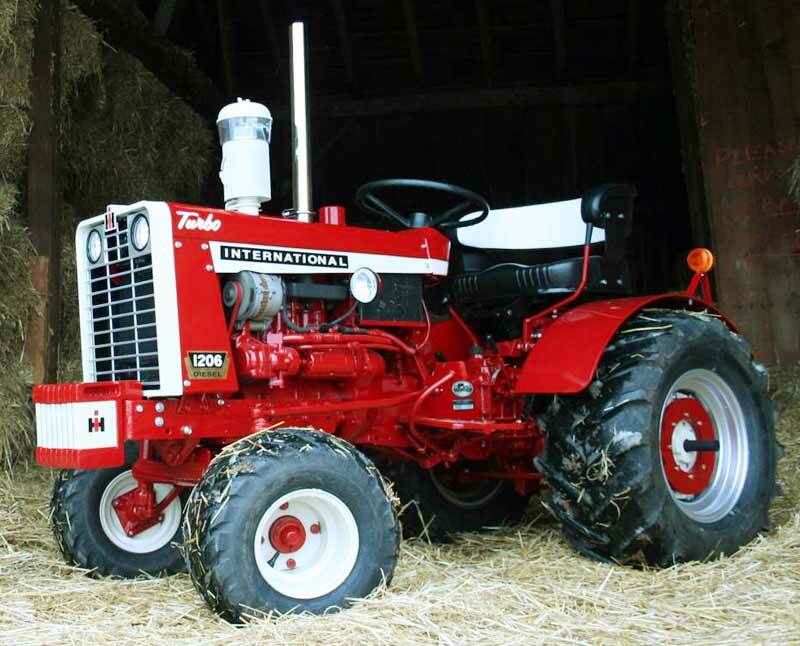 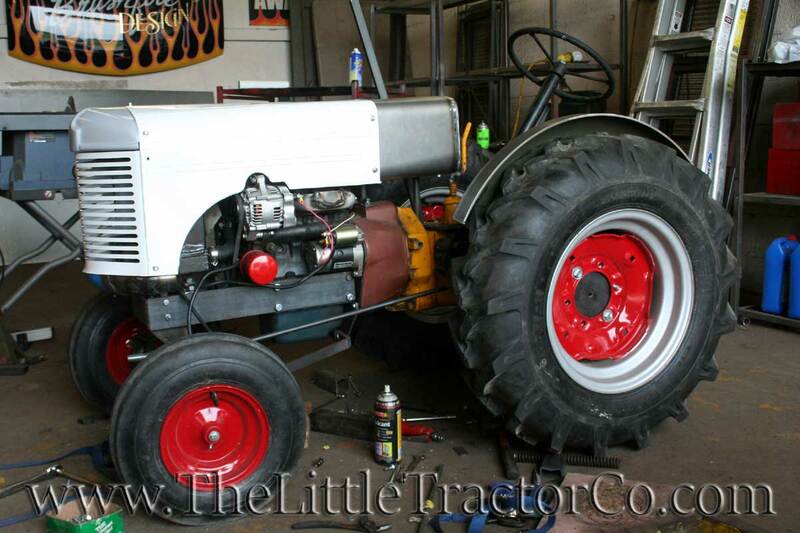 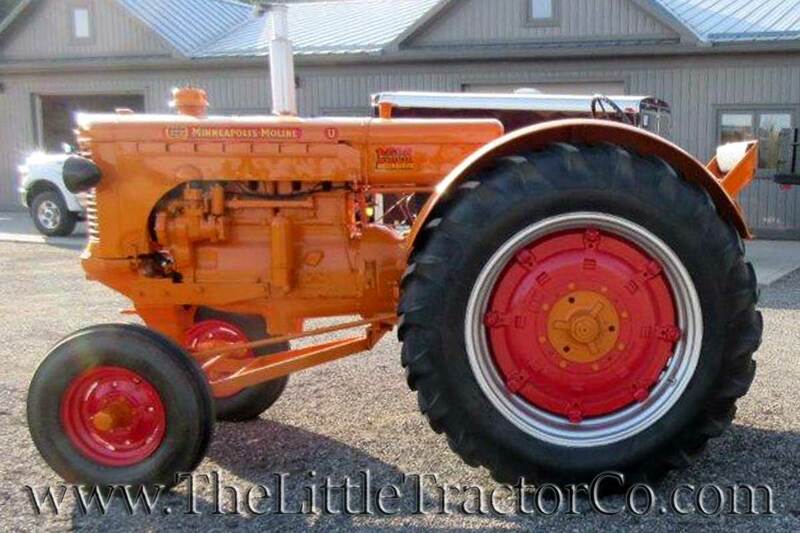 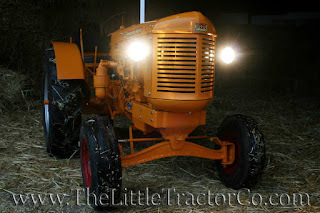 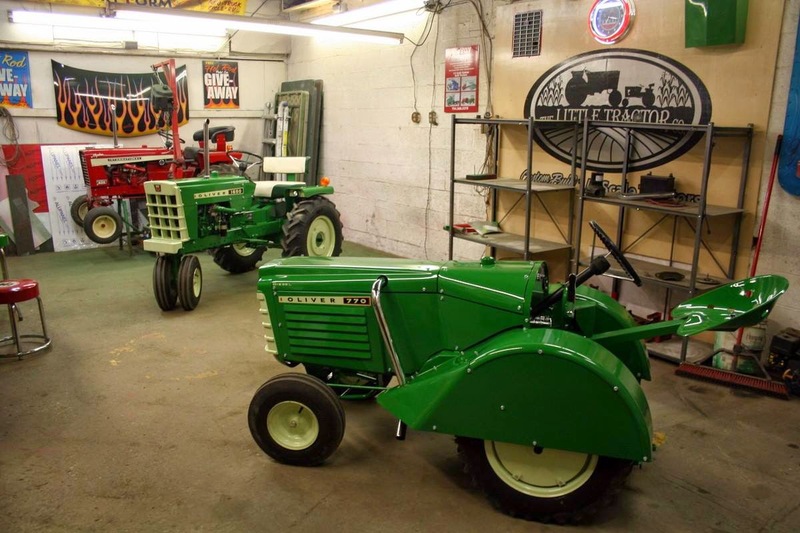 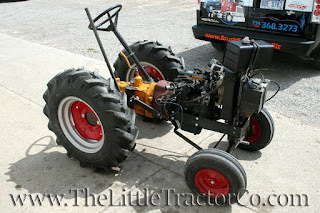 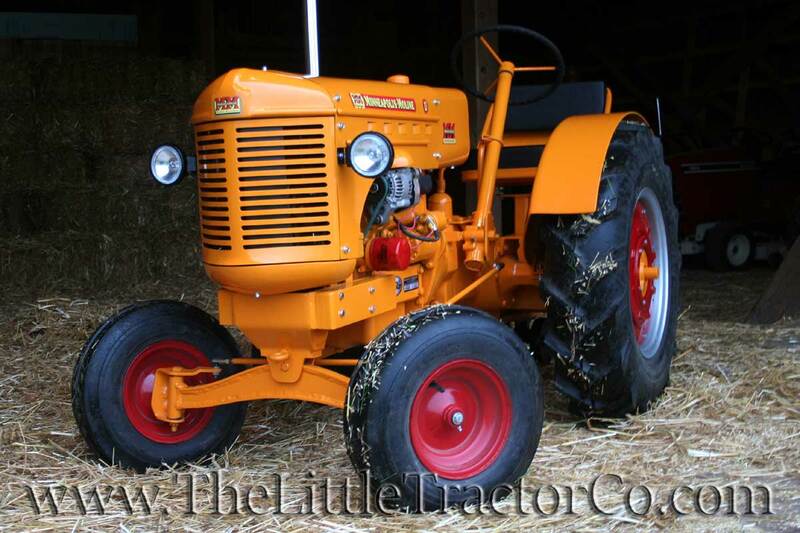 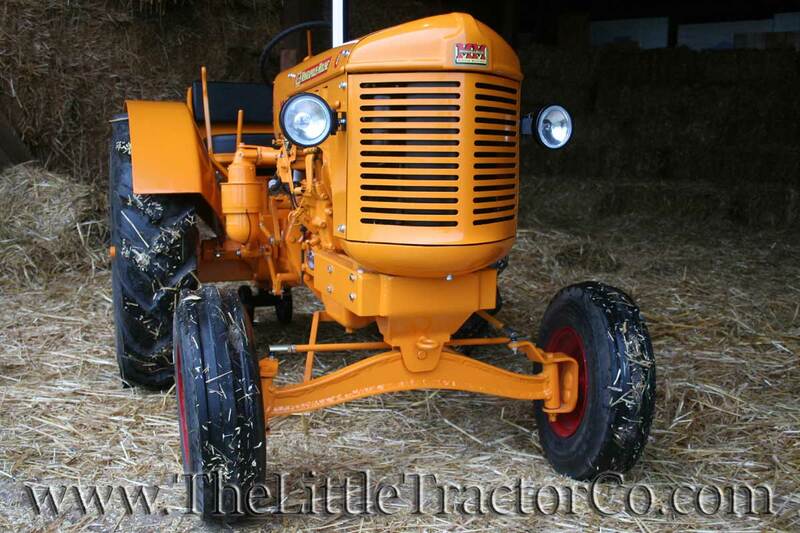 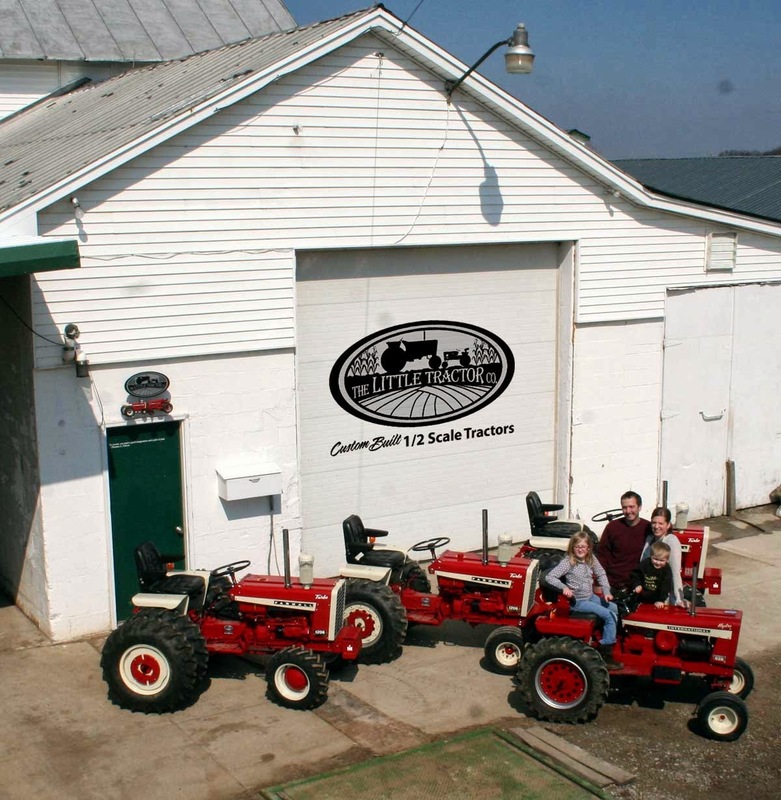 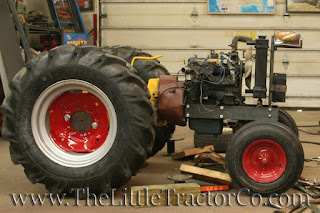 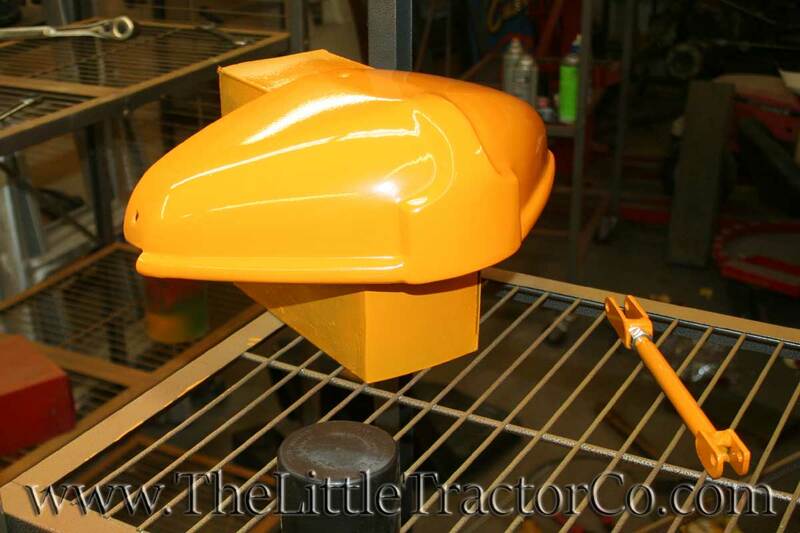 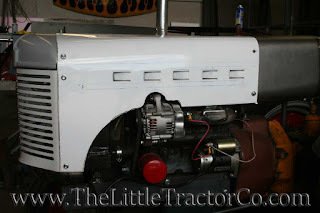 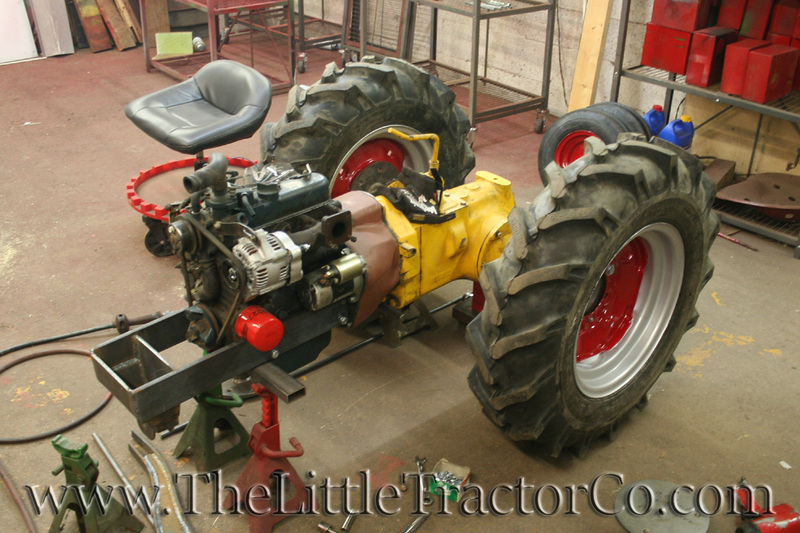 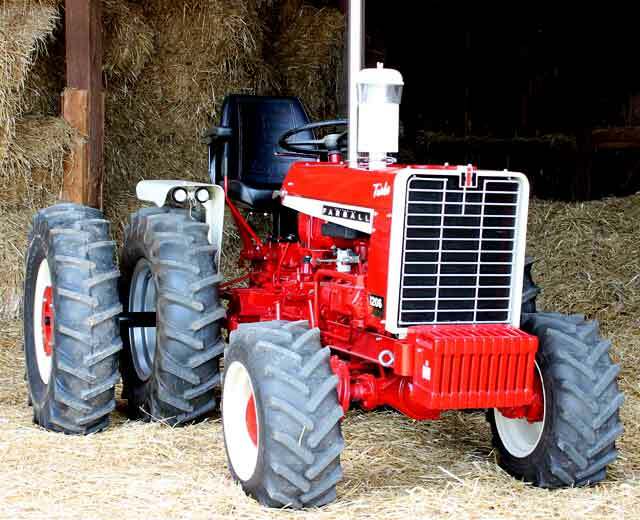 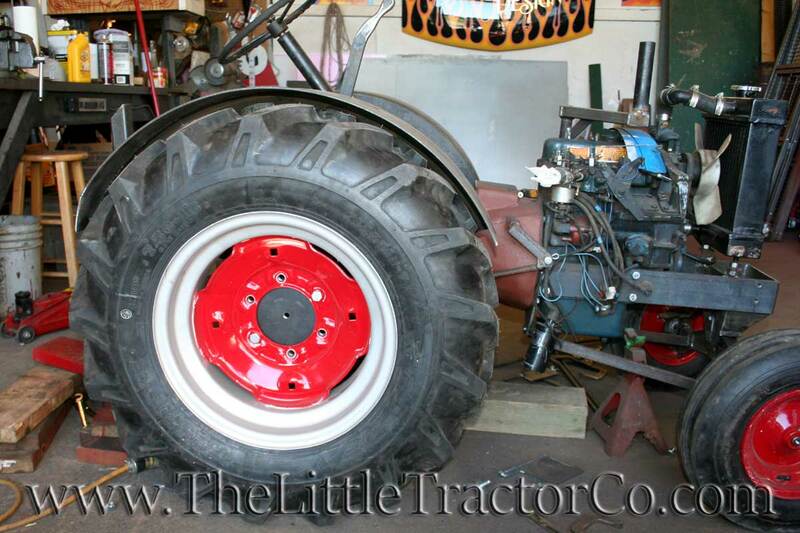 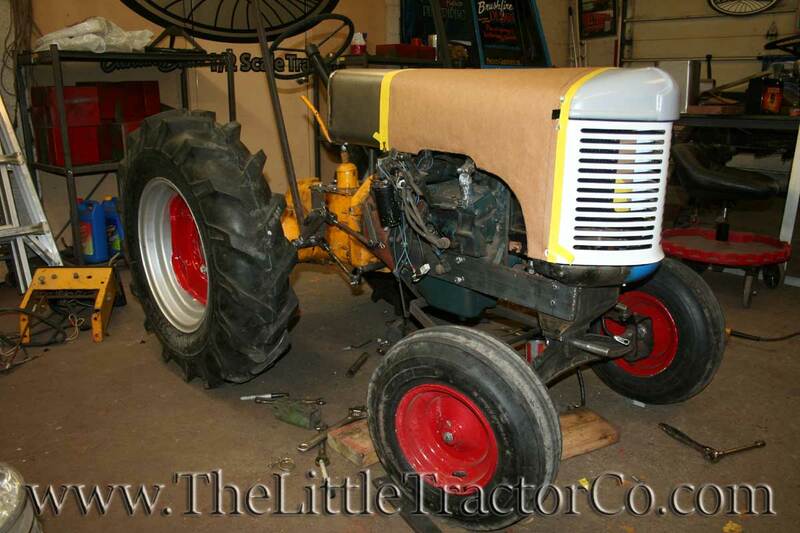 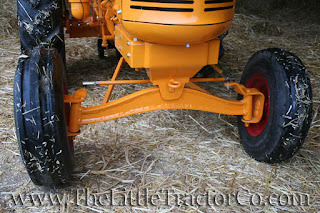 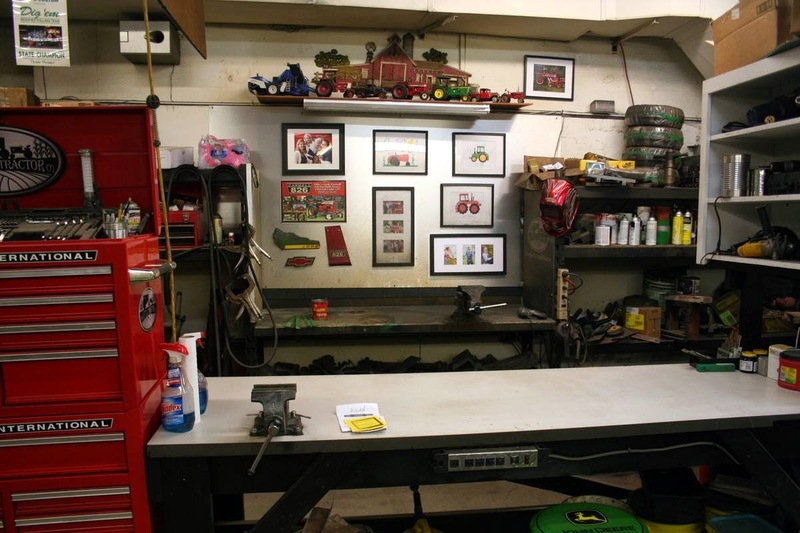 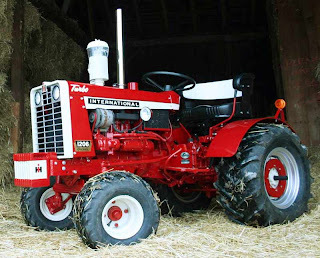 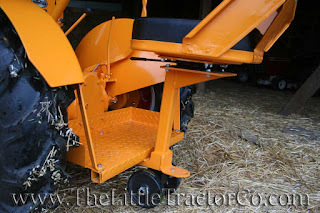 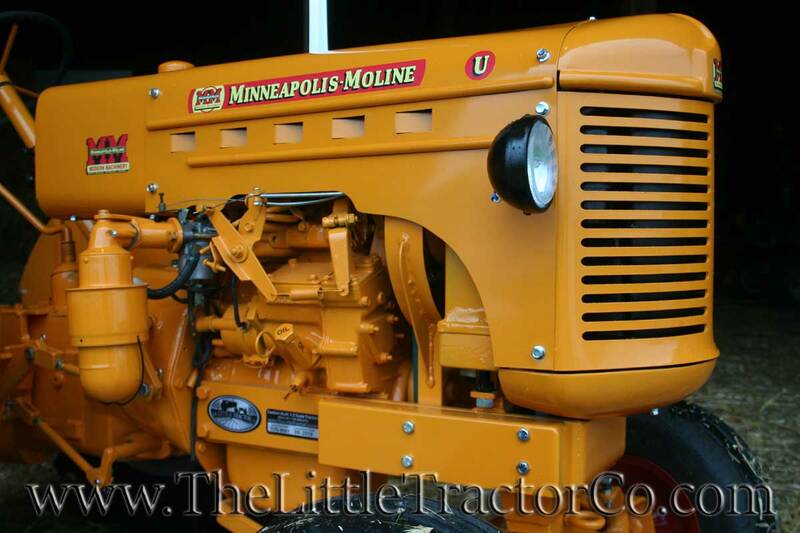 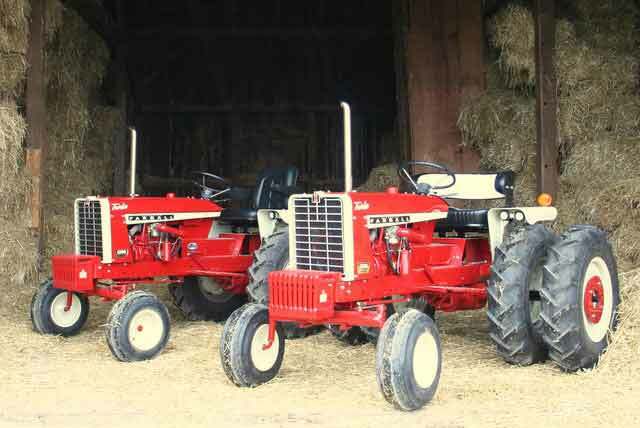 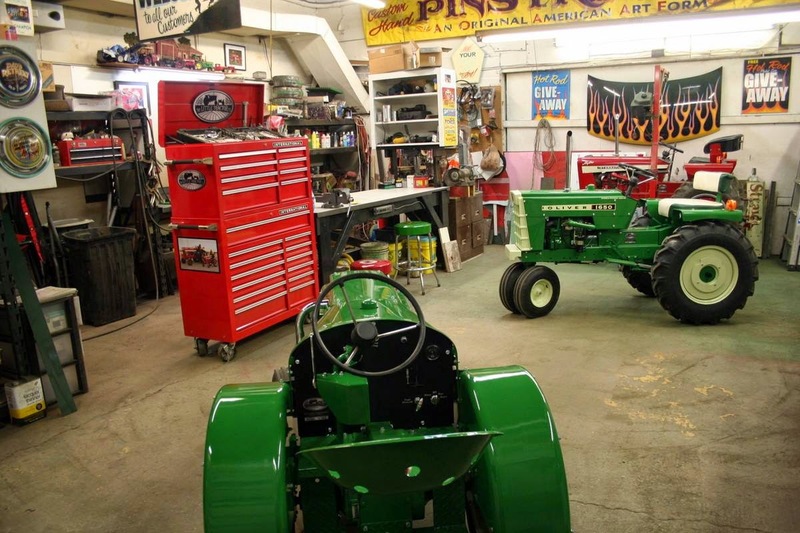 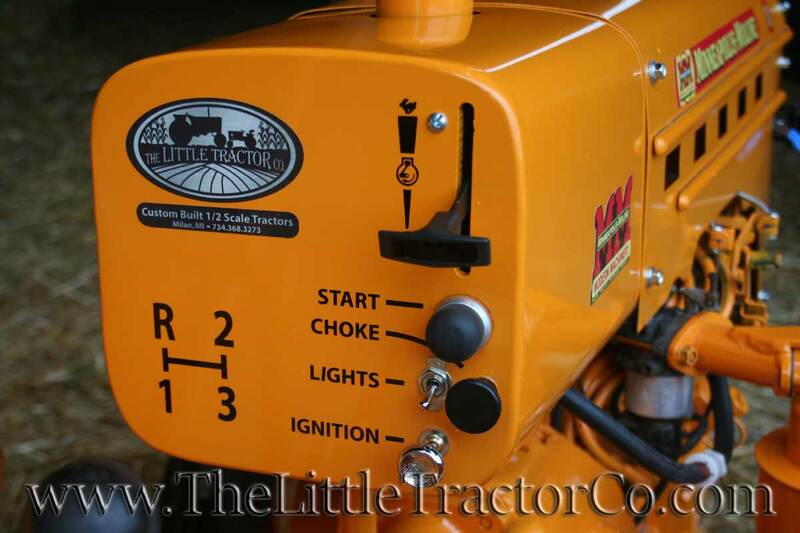 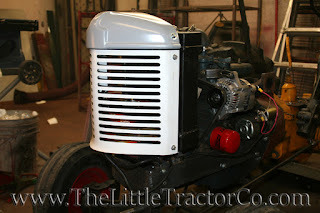 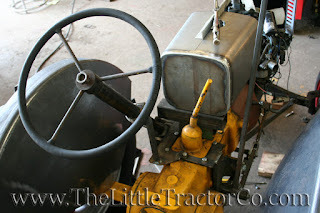 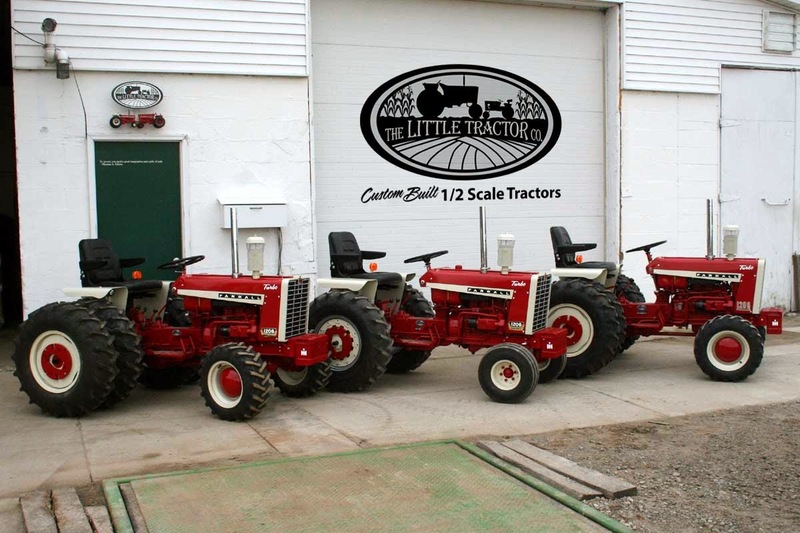 This is a photo of the real tractor that I'm going to recreate. This is the first step... again my mechanic Less Grodi has worked his magic and combined 2 pieces of machinery that were never meant to be connected. 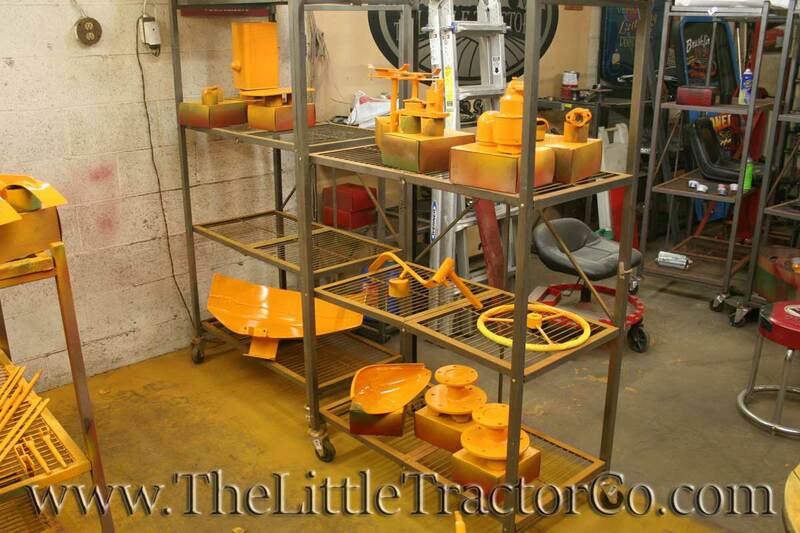 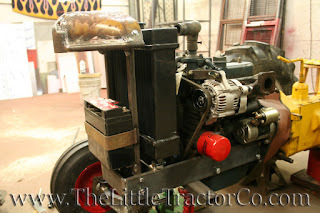 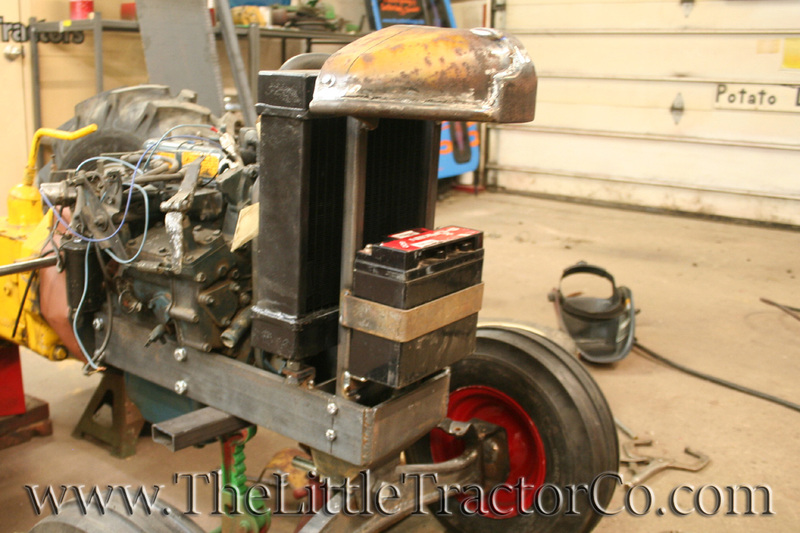 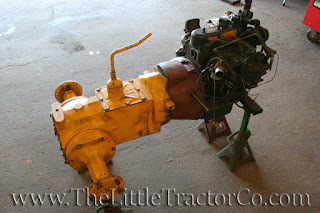 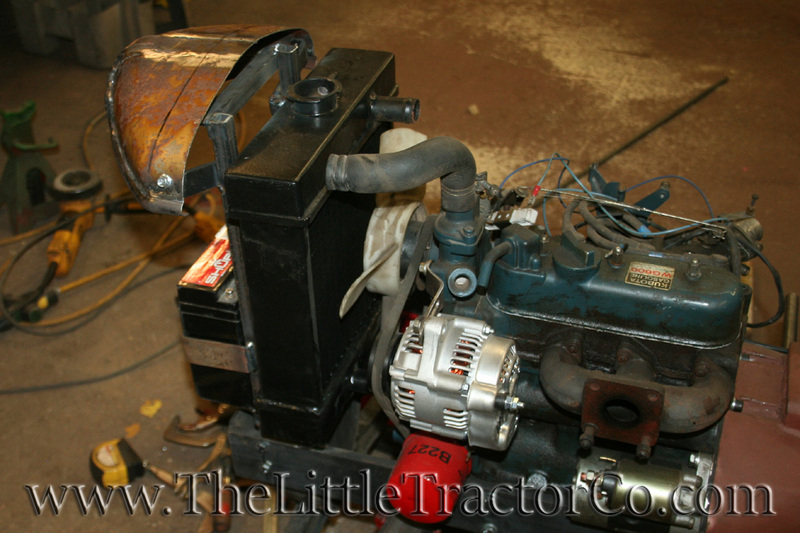 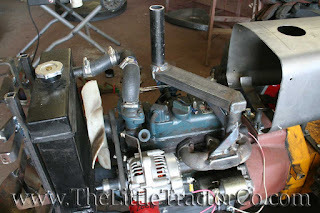 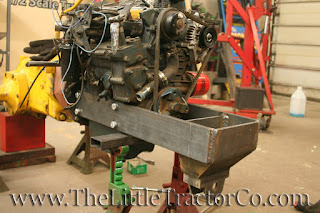 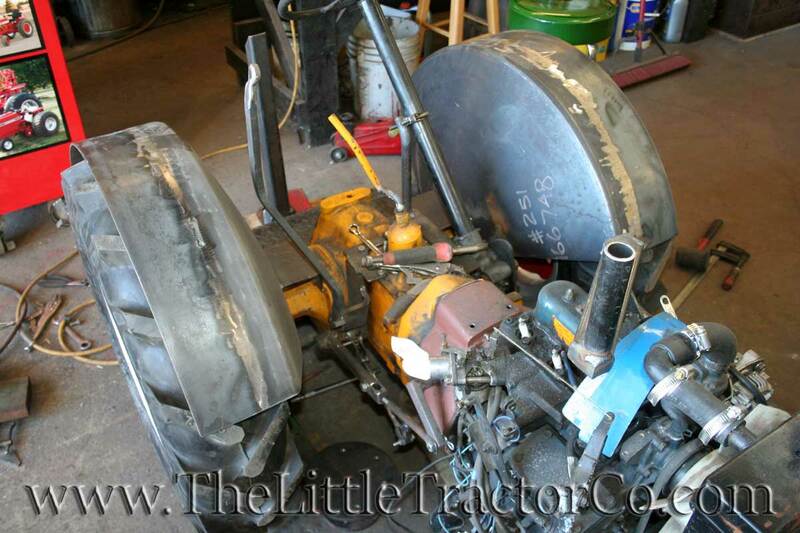 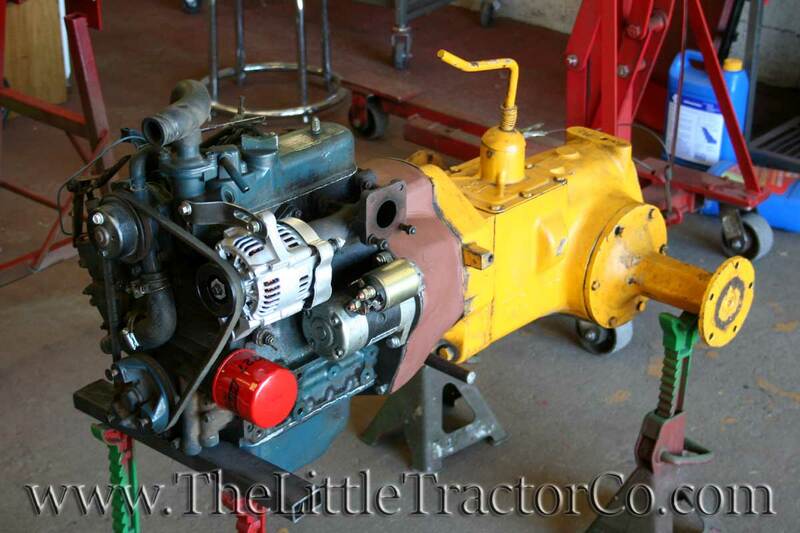 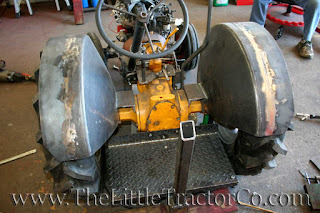 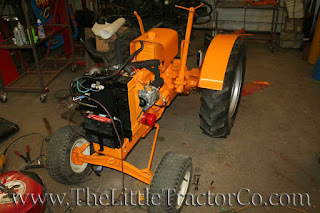 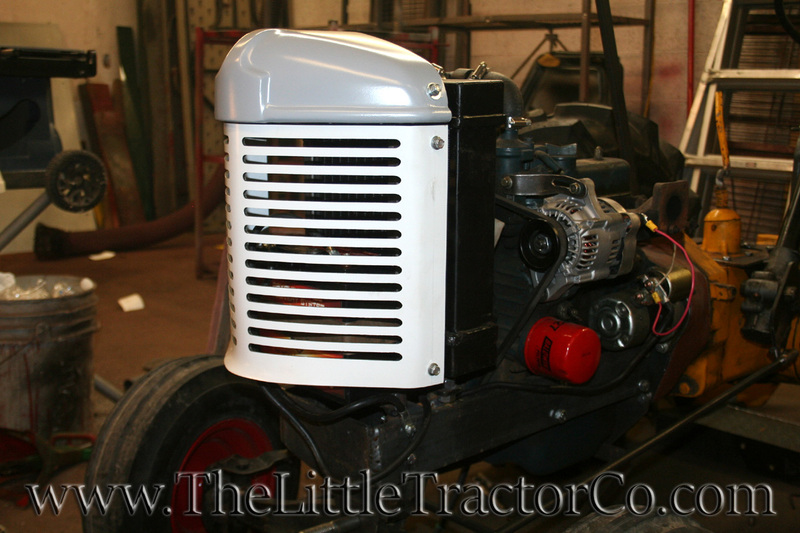 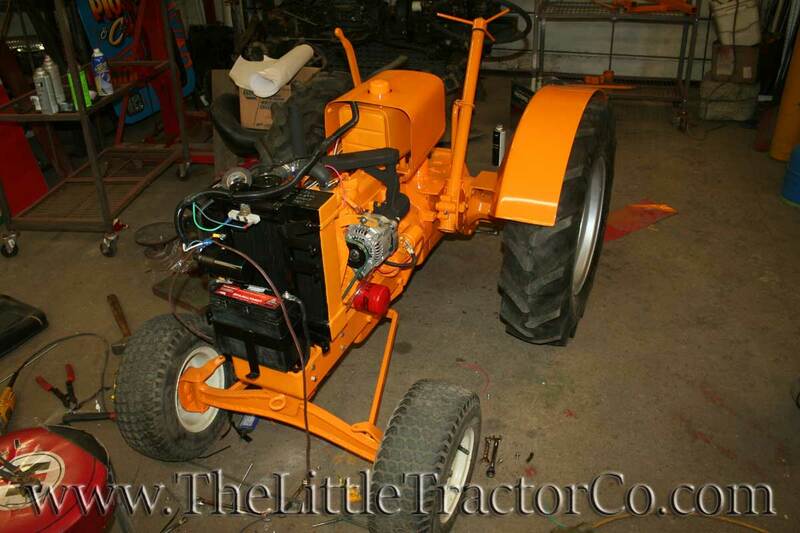 This is another 3 cylinder Kubota gas engine, mated to a Cub Cadet manual rear end. Here is my first step. 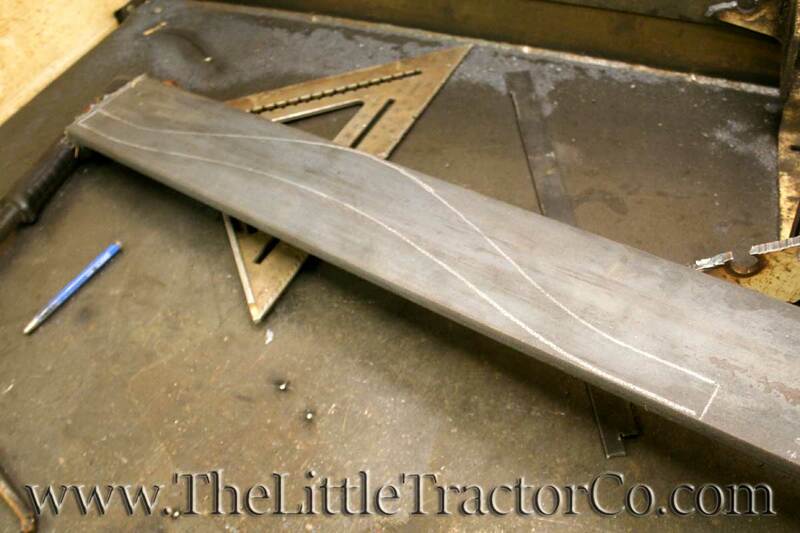 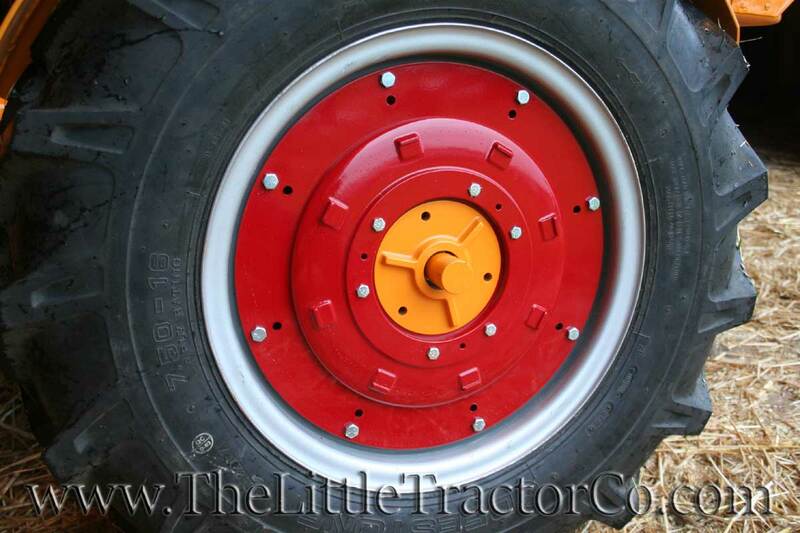 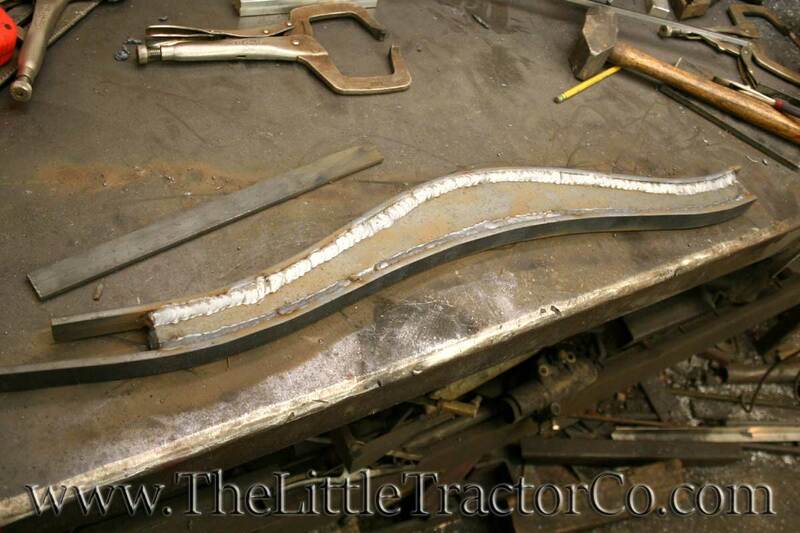 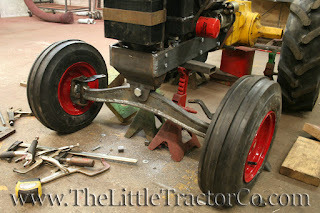 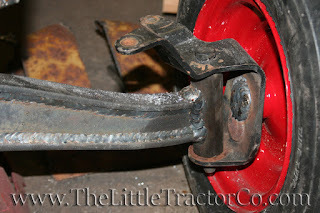 This will be the front axle. I drew the axle up on the computer and made a pattern to cut out of 1/2" steel. She's running in these pictures!!! 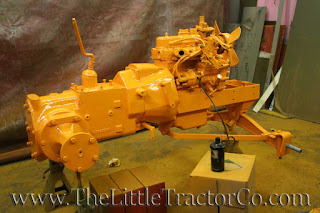 I wanted to test the drive train before I painted everything. 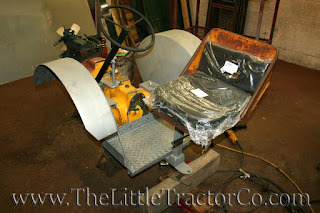 I got some parts back from suppliers... 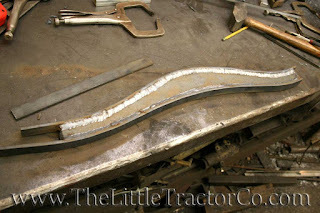 The top piece, I cut down and then had my body man finish for me. 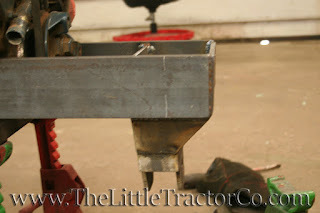 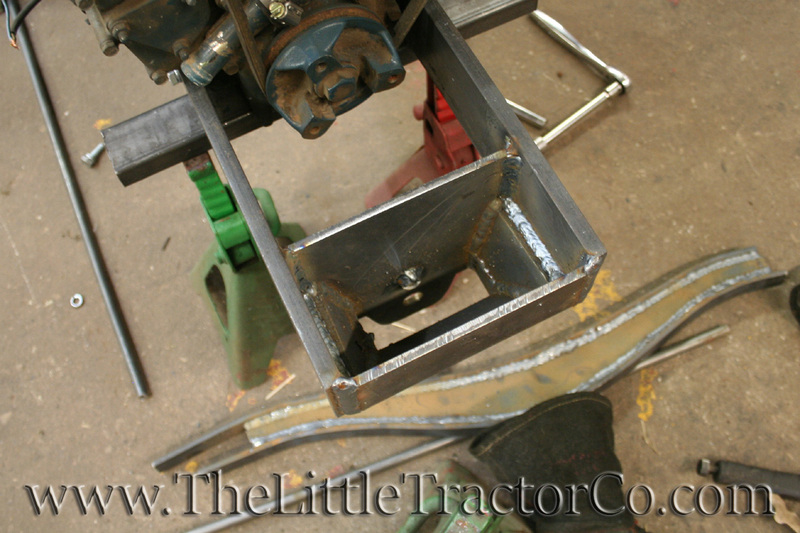 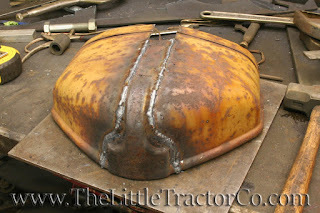 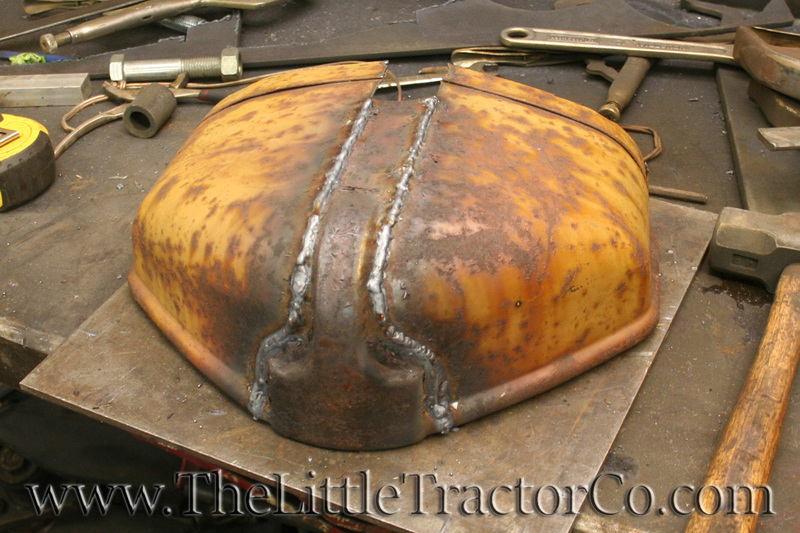 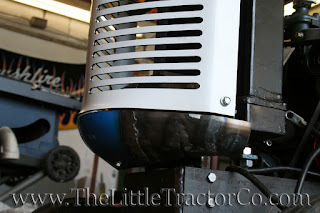 I bent the "grill" to shape then had my machinist cut the louvers in it. 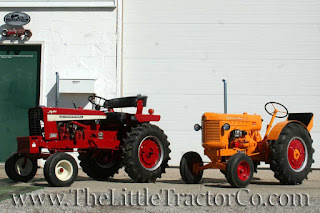 LTLC 0001 and LTLC 0041... the first and most recent... 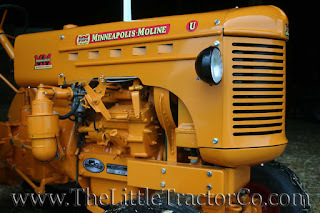 The owner was very happy with the "U". 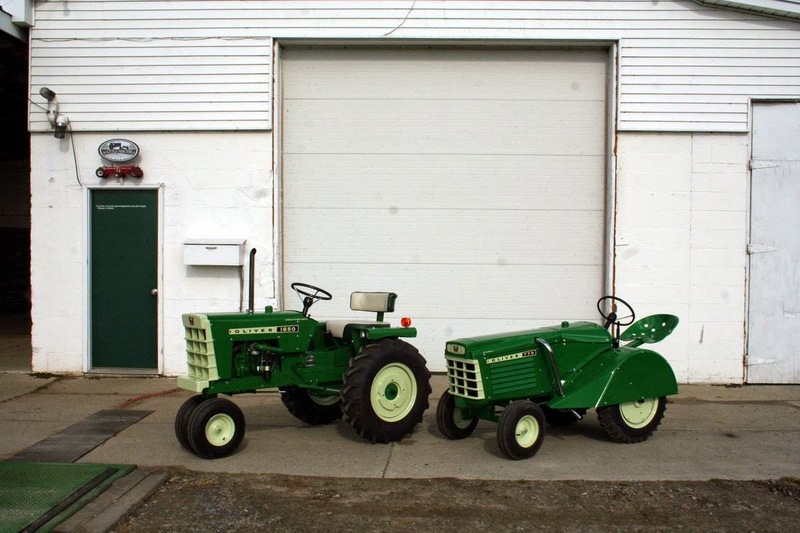 He was happy to load it up and take her home to Canada.